The Ulam spiral displaying 2025 numbers [La spirale d'Ulam montrant 2025 nombres entiers]. 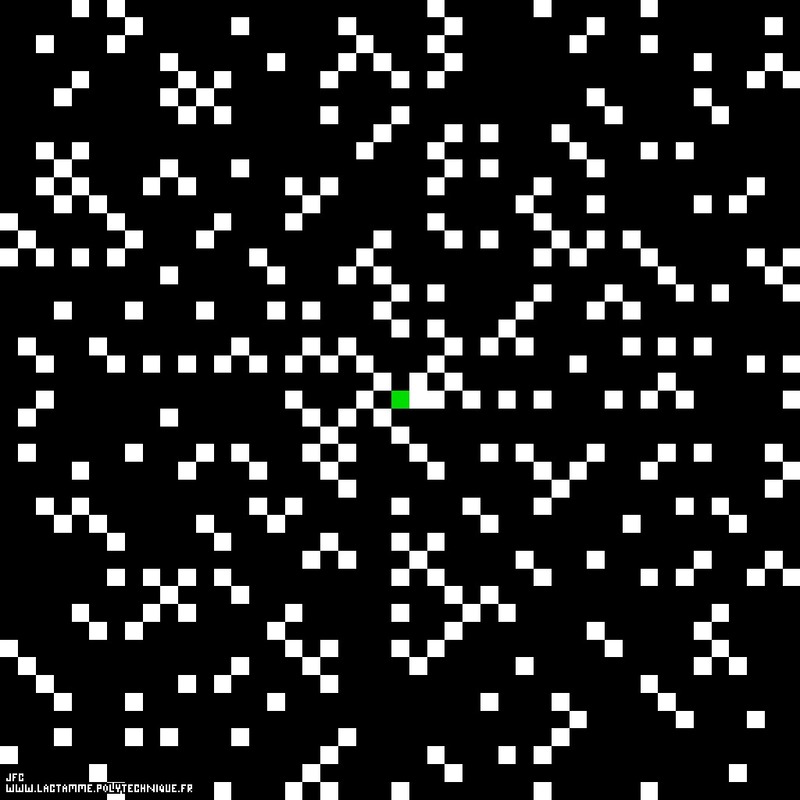 Starting from the center of the picture, the 2025 little squares are numbered (N=1, 2, 3,..., 2025) when following a square spiral. The number 1 is the green square when the prime numbers are the white ones. It is interesting to compare this Ulam spiral to a random pictures containing the same percentage of white squares (15%) .